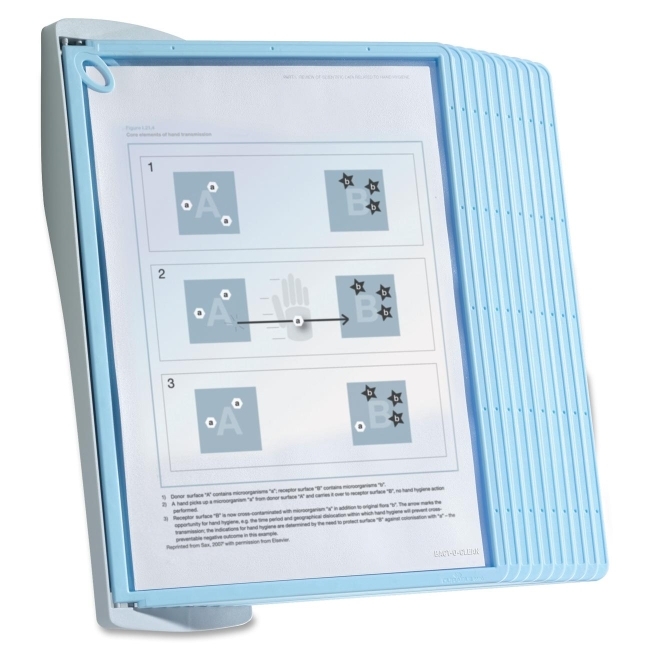 Antimicrobial sherpa-style Wall Reference System displays up to 20 letter-size or smaller sheets in 10 easy-load, double-sided clear display panels. Unique "paper secure" corner clips hold pages safely in place. Comes with 10 letter-size display sleeves (20 views), wall bracket with mounting hardware and sturdy desk stand. All components, including sleeves, bracket and stand, are treated with Bact-O-Clean, which eliminates 99.9 percent of bacterial build-up.